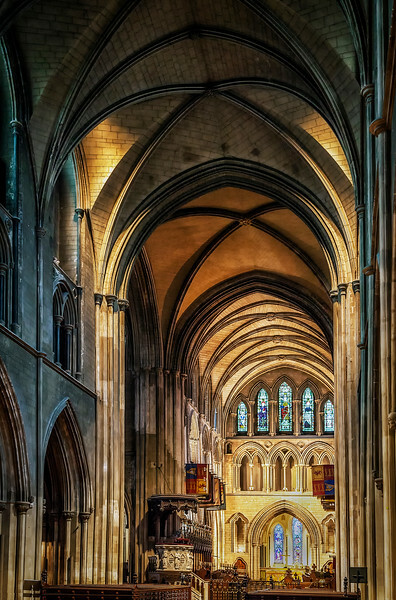 St. Patrick's dates back to 1191 and went through many changes, including the English Reformation in 1537 at which time it became an Anglican Church. What's interesting is that over the years the church fell into disrepair and was in jeopardy of collapsing. It was none other than the Guinness family that came to the rescue to contribute to a major portion of the rehabilitation. The front pews, to this day are reserved for the Guinness family. And to think that people believe beer has no value!